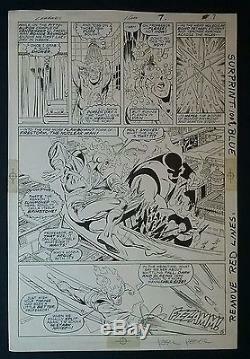 This is a page of original art from the comic book LEGENDS, by DC Comics. The art is by John Byrne and inked by Karl Kesel. The top of the page has 1/ Nov the number 7. The page is numbered 5 at the lower right corner. Not sure of the issue number, though. From our clean, smoke-free Home. Not on the last day! I will be gladly send extra photos. We try to describe our items to the best of our knowledge. Please be sure you are interested in our auctions! Thanks for looking and Please see our other auctions of original comic book art. 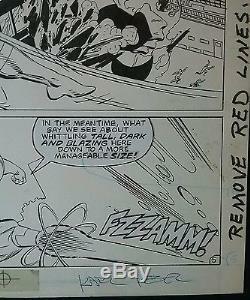 The item "DC Legends original art John Byrne, Karl Kesel Firestorm" is in sale since Sunday, August 21, 2016. This item is in the category "Collectibles\Comics\Original Comic Art\Interior Pages". 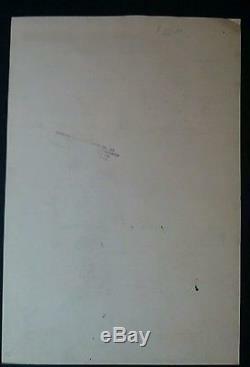 The seller is "cane1a" and is located in Macedon, New York.